Did you know that Brazil has a coast line of almost 7500 kilometers? And did you know that five out of the seven living marine turtles occur exactly on these coasts in Brazil? That is a fantastic statistic for the biodiverse Brazil! 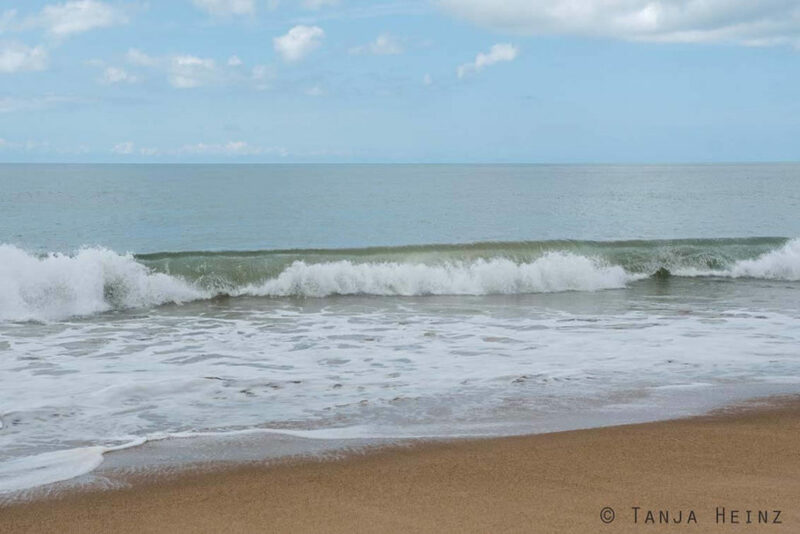 One of the most important contact points with respect to marine turtles in Brazil is the Projeto TAMAR. The organization as a whole is distributed along the Brazilian coast from Almofala in the North to Florianópolis in the South. The Projeto TAMAR is an important contact point in terms of marine turtles as the organization is involved in education and research about marine turtles in order to advance their protection. 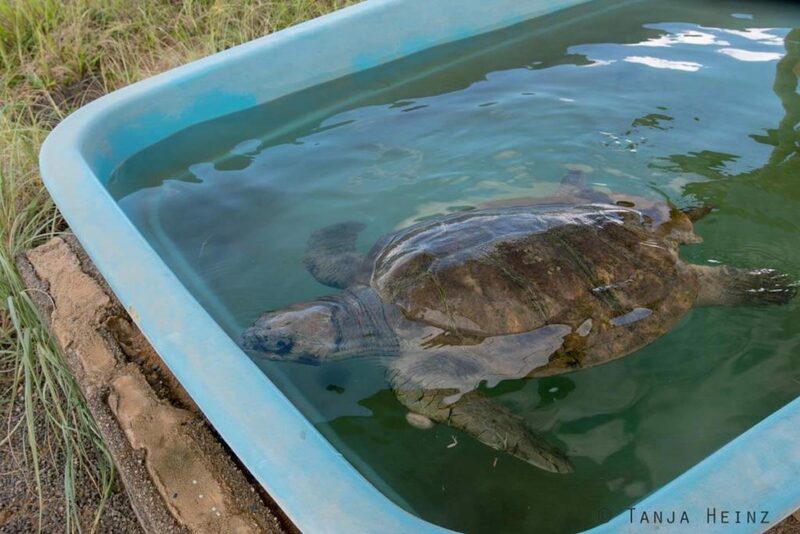 Organizations like the Projeto TAMAR are necessary as all five in Brazil occurring marine turtles are according to the IUCN either “vulnerable” or “endangered”. One of the marine turtles is even “critically endangered”. So this means it is time that something is done against their disappearing! My tiny little contribution today is to tell you about the Projeto TAMAR and call attention to the plight of the marine turtles. Why should I care about marine turtles in Brazil? Imagine a world where only humans live. Would you prefer a world like this? My answer is definitely NO. Furthermore, marine turtles are important for a functional marine ecosystem. 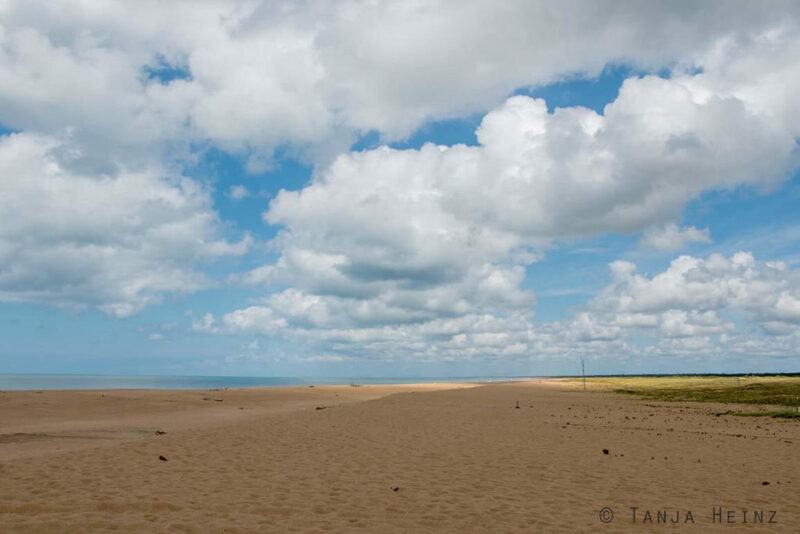 The Projeto TAMAR is distributed on severeral sites along the Brazilian coast according to their website. 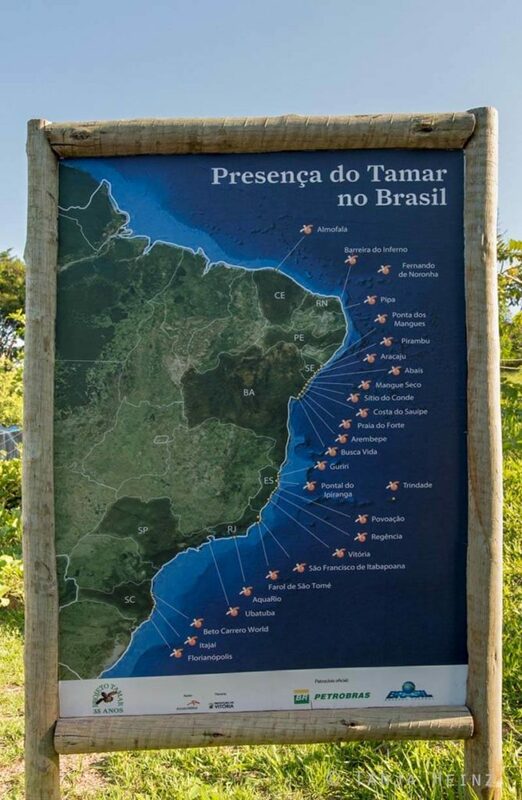 Between the northernmost site in Almofala in the state Ceará and the southernmost one in Florianópolis in the state Santa Catarina there are more than 20 sites where the Projeto TAMAR is located along the Brazilian coast. 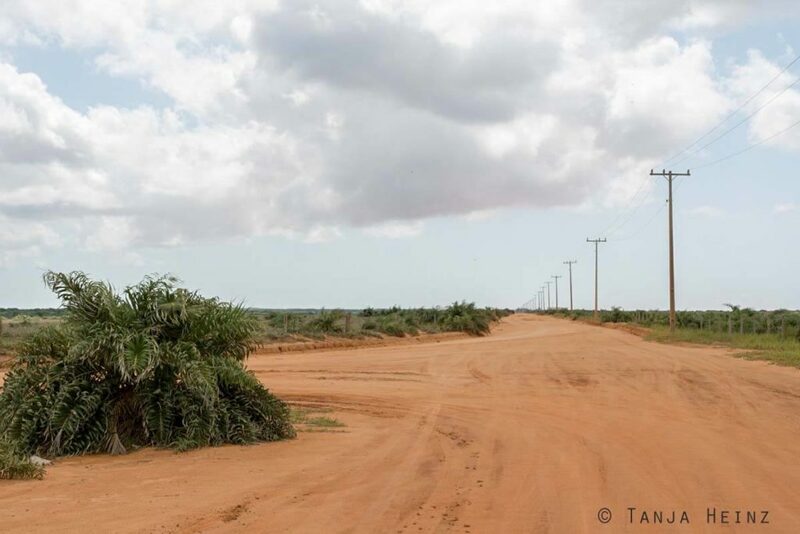 In total we visited three sites of the Projeto TAMAR in Brazil. 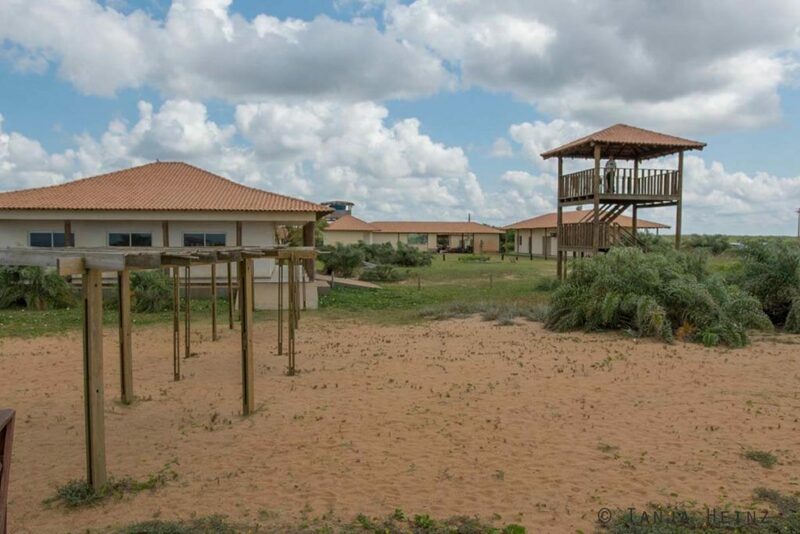 On the one hand the Projeto TAMAR Regência in the Reserva Biológica de Comboios and on the other hand the site in Vitória – as well in Espírito Santo like the one in Regência – and the site in Ubatuba in São Paulo. 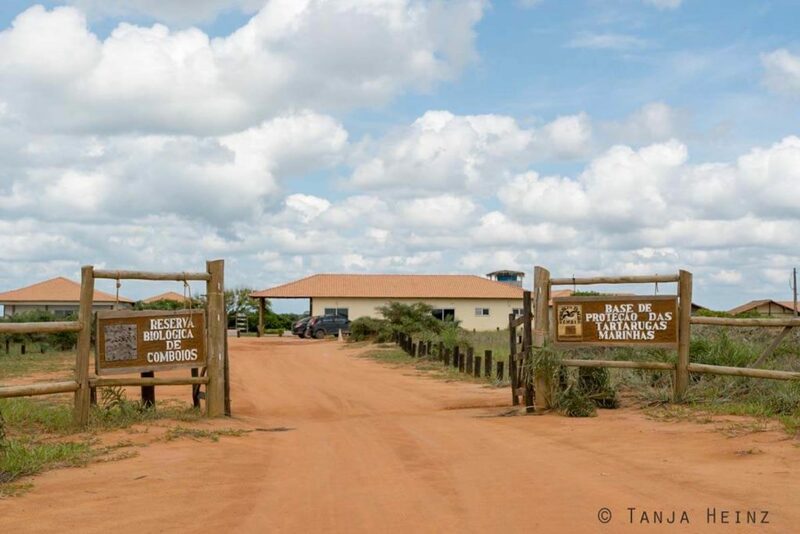 This article is about the Projeto TAMAR Regência in the Reserva Biológica de Comboios. As I already missed the marine turtle season in Itaúnas just a week before, I did not expect to see any free-living marine turtle in the Reserva Biológica de Comboios. Nevertheless, we wanted to visit the aquariums at the Projeto TAMAR Regência in order to learn more about this organization. The aquariums are located about 7 kilometers from Regência and about 45 kilometers from Linhares. 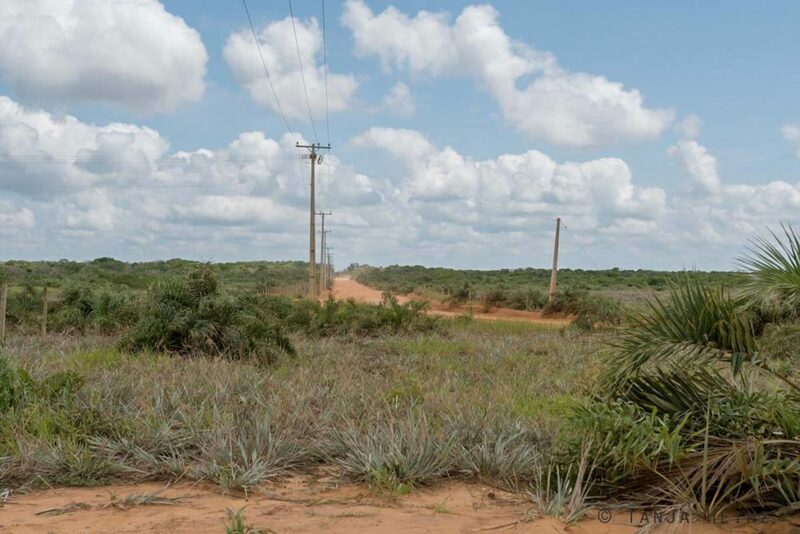 The Reserva Biológica de Comboios with the Projeto TAMAR Regência can be reached following a gravel road of about 20 kilometers. There were marine turtles in the aquariums. On information signs we could learn a little bit more about the marine turtles that live along the Brazilian coast. There was no entrance fee. We neither met employees from the Projeto TAMAR. We just observed a guard on a lookout tower. In a tub we saw a marine turtle. Unfortunately we could not ask anyone who could tell us more about this marine turtle. We were the only visitors. We only saw some people at the beach but no visitors of the Projeto TAMAR. By the way, later after our visit at the Projeto TAMAR in the Reserva Biológica de Comboios I found out on their website that there is a Centro Ecológico in Regência. My travel guide was in general very helpful and informative. However, in some cases I missed information that would have been important to me. As we did not know that there was an information center in Regência, we did not go to this place. It would have been just 7 kilometers! After our visit at the Projeto TAMAR in the Reserva Biológica de Comboios we visited the Projeto TAMAR in Vitória one day later. There we met several employees of the Projeto TAMAR. They told us that the Projeto Tamar Regência was closed in the past, then reopend but might be closed again in the future. At the visitor center in Vitória they could not tell us for sure about the future of the Projeto TAMAR Regência. As much as I like the Projeto TAMAR, I missed some information about the marine turtles that come to the beach along the Brazilian coasts at the aquariums in the Reserva Biológica de Comboios. For example, for me it would have been interesting to know: Is a marine turtle friendly tourism possible? That means, tourism in a way where people get informed about marine turtles without disturbing them when they come to the beach. However, I assume that at the Centro Ecológico in Regência there might have been more information about all that. Which marine turtles are there in Brazil? 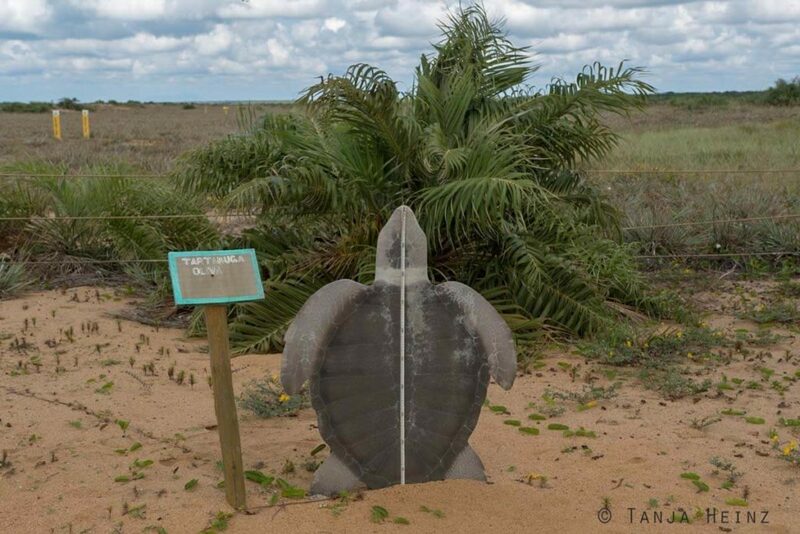 Like I mentioned above five different marine turtle species occur in Brazil. Only the flatback sea turtle (Natator depressus) and the Atlantic ridley sea turtle (Lepidochelys kempii) do not occur in Brazil, but live in Australia and in the Gulf of Mexico, respectively. The smallest marine turtle in Brazil is the olive ridley sea turtle (Portuguese: Tartaruga-oliva). As adults they can reach a size of about 72 centimeters and a weight of about 42 kilograms on average. By the way, the olive ridley sea turtle is not only the smallest marine turtle in Brazil, but the smallest one of all living marine turtles. The species is closely related to the Atlantic ridley sea turtle (Lepidochelys kempii) that lives in the Gulf of Mexico. According to the IUCN the olive ridley sea turtle is “vulnerable”. There are about 8.700 nests of olive ridley sea turtles in Brazil during the nesting season. The olive ridley sea turtle is especially known for their mass nestings. 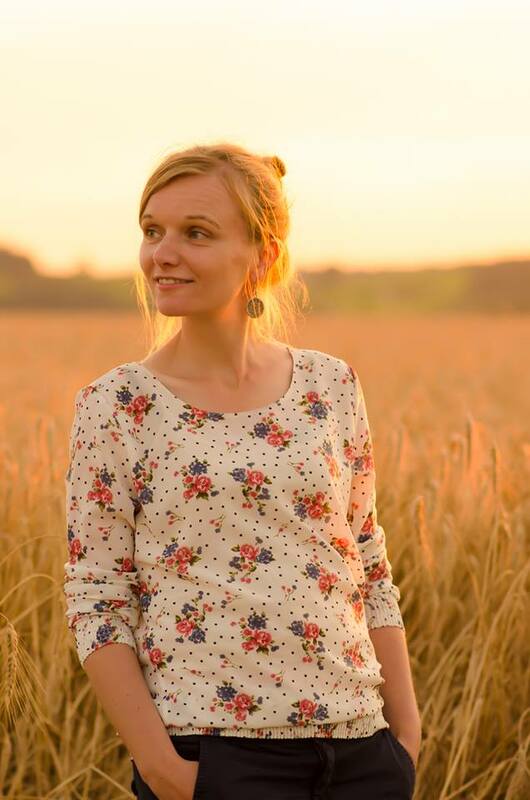 Up to 150.000 females might participate in one of those mass nestings. Another interesting fact is that olive ridley sea turtles return to the beach to nest where they were born. During one season they might nest 2 – 3 times. However, they return to their birthplace to nest only every few years. They live in tropical waters of the Indian, Pacific and Atlantic Ocean but not in Caribbean waters. Following the olive ridley sea turtle, the hawksbill sea turtle (Portuguese: Tartaruga-de-pente) is the second smallest marine turtle in Brazil. As adults individuals reach a size of up to 110 centimeters and a weight of 86 kilograms on average. However, in contrast to the olive ridely sea turtle, the hawksbill sea turtle is not only “vulnerable”, but “critically endangered” according to the IUCN. 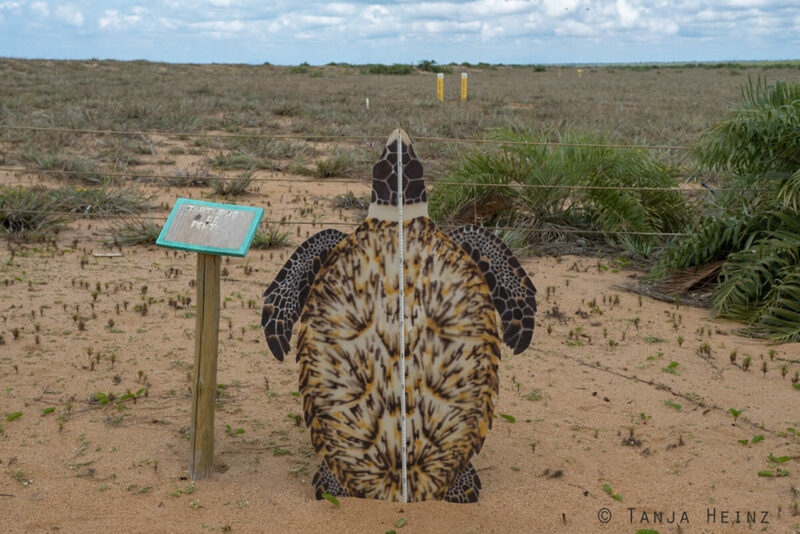 Every season there are about 2.200 nests of the hawksbill sea turtle on the Brazilian coast. Why is the hawksbill sea turtle in such a plight? 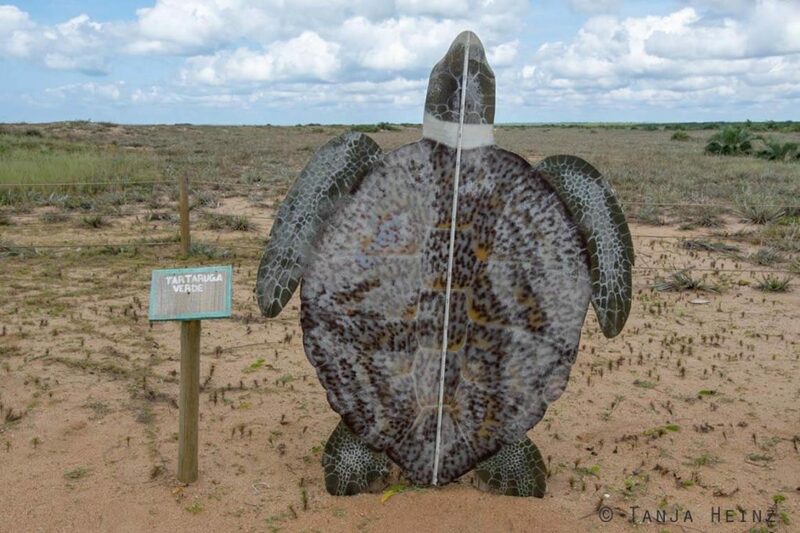 Well, the reason is, because the hawksbill sea turtle has been exploited for its tortoise shell for many, many years. Furthermore, in some regions humans hunt hawksbill sea turtle for their meat. Sometimes their meat is even used as bait for fishing. Another threat is egg collection and polluted oceans. Not to forget tourism. As tourism grows, hawksbill sea turtle lose their habitat – the beach. Thus, the disappearing of hawksbill sea turtles is not natural, but human-induced! If we consider that only 1 out of 1000 eggs will reach adulthood in hawksbill sea turtles and females lay their first eggs only between the age of 20 and 40, immediate action against their disappearing is necessary! The loggerhead turtle (Portuguese: Tartaruga-Cabeçuda) reaches a size of about 136 centimeters and weighs on average 140 kilogram as an adult marine turtle. That means almost 100 kilograms more than the smallest marine turtle – the olive ridley sea turtle. According to the ICUN the loggerhead turtle is “vulnerable”. In Brazil there are approximately 8.200 nests of loggerhead turtles each year. The loggerhead turtle has one of the widest distribution of all marine turtles. Furthermore, it is a highly migratory marine turtle species crossing even the Atlantic and Pacific. The Projeto TAMAR uses satellites to know more about the loggerhead sea turtle’s migratory behavior and life history. The research project started in 2001. The first results confirm that marine turtles along the Brazilian coastline visit coasts of other countries and continents. Thus, according to the Projeto TAMAR international cooperations are necessary to effectively protect loggerhead turtles. Although the loggerhead turtle is not in such a plight like the hawksbill sea turtle, the loggerhead turtle as well faces many threats. As loggerhead turtles are highly migratory, fishing belongs to one of their main threats. Humans do not hunt them for their meat, but loggerhead turtles entangle in fishing nets. Furthermore, in some regions people collect their eggs for consumption. An even larger sea turtle is the green sea turtle (Portugiesisch: Tartaruga-verde). With up to 143 centimeters and about 160 kilograms, the green sea turtle is only slightly larger than the loggerhead turtle. The green sea turtle is listed in the category “endangered” by the IUCN. In Brazil there are 4.800 nests along the coast. Green sea turtles are especially vulnerable, because they have very low growth rates. Furthermore, they reach reproductive maturity only between 26 and 40 years. Especially remarkable is that green sea turtles migrate thousands of kilometers to reproduce. Females lay eggs only every 2 to 5 years, however, up to nine times during one season. Interesting to know is also that only green sea turtles are herbivorous among all marine turtles. That means they only feed on plants like seaweed or algae. However, offspring of green sea turtles, in contrast, are omnivorous. They do not only feed on plants, but also on jellyfish, mollusks or sponges. 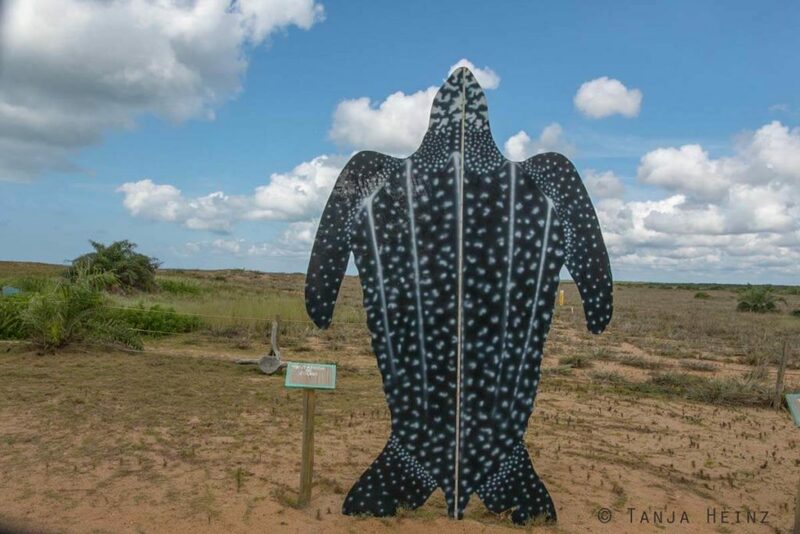 With up to 178 centimeters the leatherback turtle (Portugiesisch: Tartaruga-de-couro) is not only the largest marine turtle in Brazil but worldwide. As adults individuals can reach up to 400 kilograms. That means 90% more weight as the smallest marine turtle – the olive ridley sea turtle. According to the IUCN the leatherback turtle is listed as “vulnerable”. However, with respect to their nests in Brazil there are only about 120 per season. An interesting fact about leatherback turtles is that they are able to rise their body temperature. This is the reason why leatherback turtles occur even in colder waters and are able to look for food in depths of 1000 meters. Leatherback turtles can be found in all oceans. They have the widest distribution of all marine turtles. For example, they could be found on one hand in Alaska but on the other hand in South Africa. 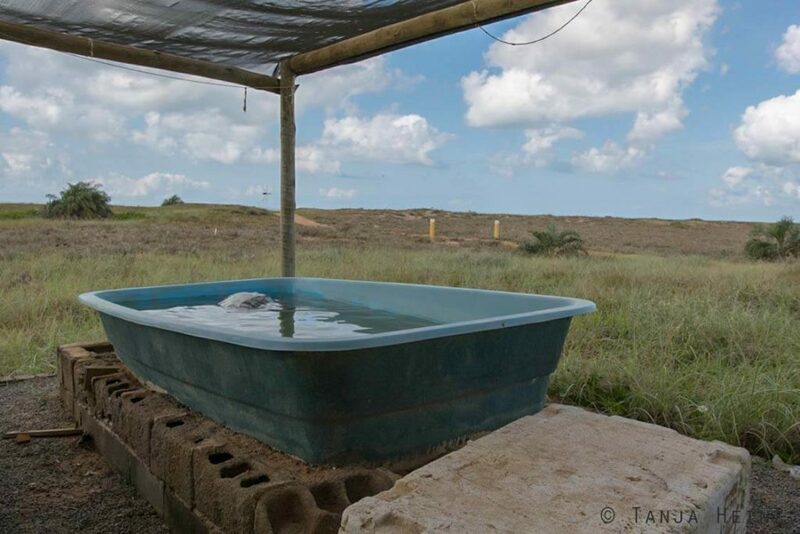 One of the first sites of the Projeto TAMAR that were established in Brazil was in the Reserva Biológica de Comboios. 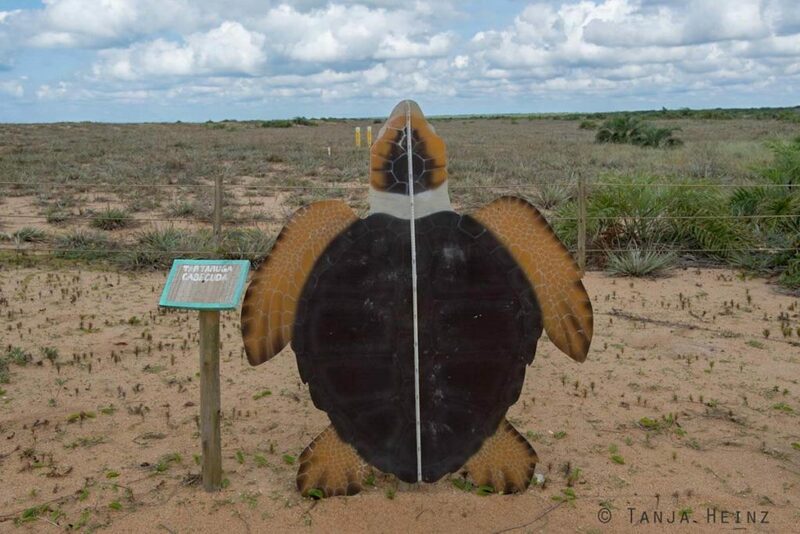 The reserve involves 37 kilometers of beach where loggerhead turtles lay their eggs during the nesting season. 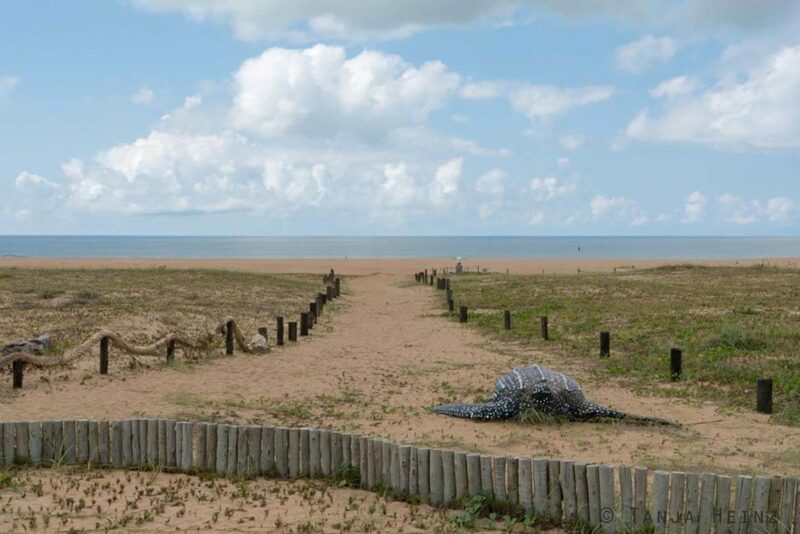 Sometimes even leatherback turtles come to the beach as well. The Projeto TAMAR Regência is located at two sites. On the one hand there are the aquariums in the Reserva Biológiva de Comboios and on the other hand the Centro Ecológico which is directly located in Regência and about 7 kilometers from the aquariums. 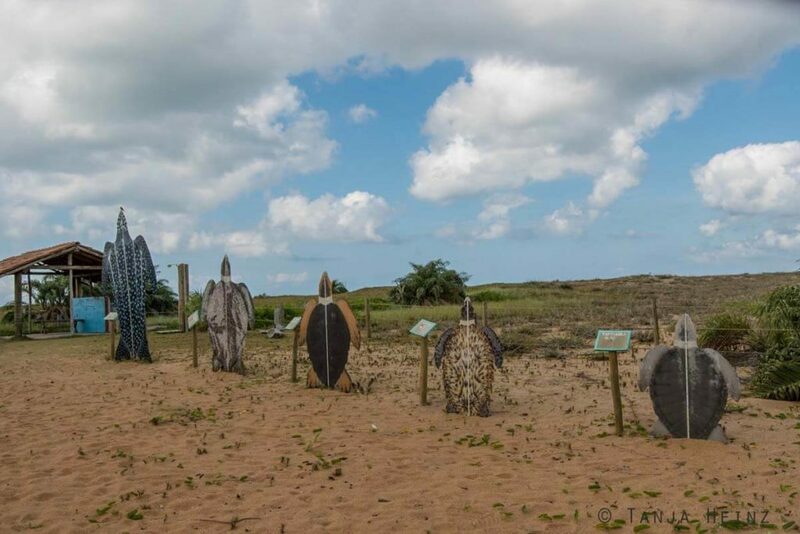 While the Projeto TAMAR controls and monitors the marine turtle populations every year in the Reserva Biológica de Comboios, the Centro Ecológico is the meeting point for information and education. Unfortunately, neither my travel guide told me that there is a Centro Ecológico in Regência nor could we meet anyone from the Projeto TAMAR at the acquariums who could have made us aware of the second location in Regência. Nonetheless, we spent some time in the surroundings of the aquariums. Endless beaches without human buildings give me the hope to assume that marine turtles in the Reserva Biológica de Comboios are protected from mass tourism, and thus, can nest without disturbance. 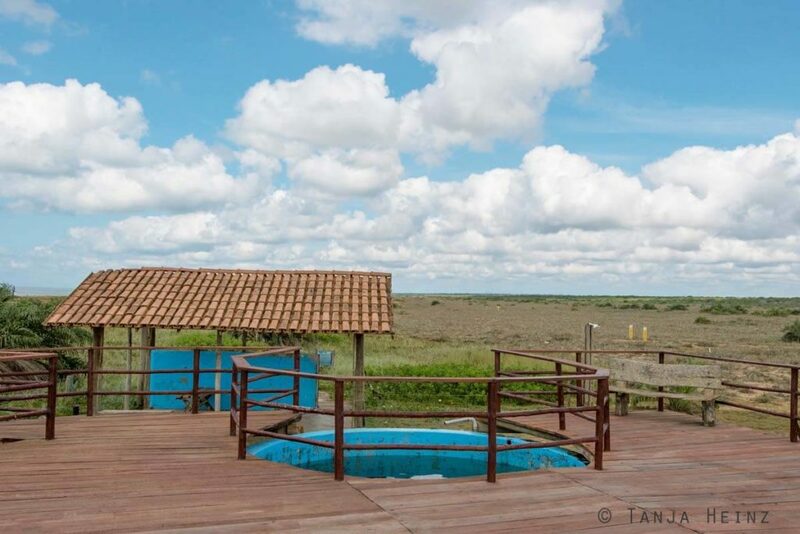 It is easy to reach the Projeto TAMAR in the Reserva Biológica de Comboios from Linhares. As we have been only at the aquariums in the Reserva Biológica de Comboios, I cannot tell anything about the Centro Ecológico in Regência. 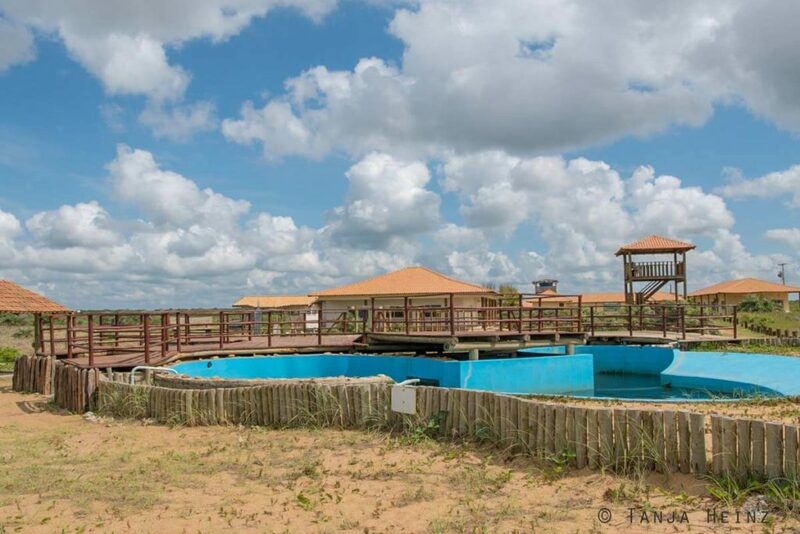 If I visit the Reserva Biológica de Comboios again, I definitely would decide to visit Regência as well. It is only 7 kilometers to drive from the aquariums to Regência. Afterwards I do not understand why we did not drive to Regência although we did not know about the second location of the Projeto TAMAR. In the course of our journey through the South of Brazil we also visited the Projeto TAMAR in Vitória (as well in Espírito Santo) and the one in Ubatuba in São Paulo. The best way to reach the Reserva Biológica de Comboios is by car. I do not know any bus connection to the Reserva Biológica de Comboios. We rented a car at Localiza in Linhares. Localiza is located at the Av. Rufino de Carvalho, 684 – Shell, 29901-504 Linhares. We paid for a car 230R$ for two full days, and additionally, 227 R$ for petrol. As we did not refill petrol by ourselves we had to pay a little bit more. We found an accommodation in the small town Linhares. And that is in the hotel Conceição which is located in the Av. Prefeito Samuel Batista Cruz, 2801 – Nossa Sra. da Conceição, 29190-527 Linhares. We paid 120 R$ for one night. I was very happy with the hotel. The rooms were clean, the breakfast delicious, and the staff was very sympathetic. Furthermore, we could leave our rented car at the parking lot of the hotel.